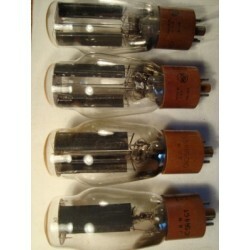 Fine full-wave glass rectifier tubes manufactured in the United States by renowned General Electric. 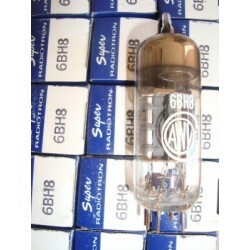 These octal based 8 pin tubes come with long ribbed black or gray plates and top or side getters - bulb size may vary. 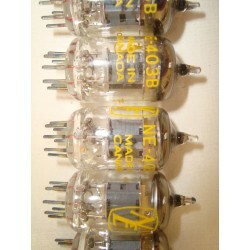 They are glass etched 5V3 U.S.A. with various dot codes, and are printed on base in white with GE logo, ELECTRONIC TUBE MADE IN U.S.A. Boxes are standard GE orange and gray printed either 5V3 or 5V3/5AU4.